Global risks are intensifying but the collective will to tackle them appears to be lacking, the World Economic Forum warned in its latest report on Wednesday. The world is facing a growing number of complex and interconnected challenges, from slowing global growth and persistent economic inequality to climate change, geopolitical tensions and the accelerating pace of the Fourth Industrial Revolution, WEF's Global Risks Report 2019 said. "There has never been a more pressing need for a collaborative and multistakeholder approach to shared global problems," it said. The report suggested globalization needs to be done in new ways. In some areas, redoubling efforts at the international level -- implementing new approaches to a range of issues: technology and climate change to trade, taxation, migration and humanitarianism. In other areas renewed commitment and resources will be needed at the national level -- tackling inequality, for example, or strengthening social protections and the bonds of political community. It said rising geopolitical and geo-economic tensions are the most urgent risk in 2019, with experts predicting further economic confrontation between major powers in 2019 and erosion of multilateral trading rules and agreements, it said. "With global trade and economic growth at risk in 2019, there is a more urgent need than ever to renew the architecture of international cooperation. We simply do not have the gunpowder to deal with the kind of slowdown that current dynamics might lead us towards. What we need now is coordinated, concerted action to sustain growth and to tackle the grave threats facing our world today," said Borge Brende, President of the WEF. Environmental risks continue to dominate respondents' concerns beyond the short term, including biodiversity loss, extreme weather events, failure of climate-change mitigation and adaptation, man-made disasters and natural disasters, according to the report. Alison Martin, Group Chief Risk Officer, Zurich Insurance Group, said: "To effectively respond to climate change requires a significant increase in infrastructure to adapt to this new environment and transition to a low-carbon economy." "By 2040, the investment gap in global infrastructure is forecast to reach 18 trillion U.S. dollars against a projected requirement of 97 trillion U.S. dollars. Against this backdrop, we strongly recommend that businesses develop a climate resilience adaptation strategy and act on it now," Martin said. 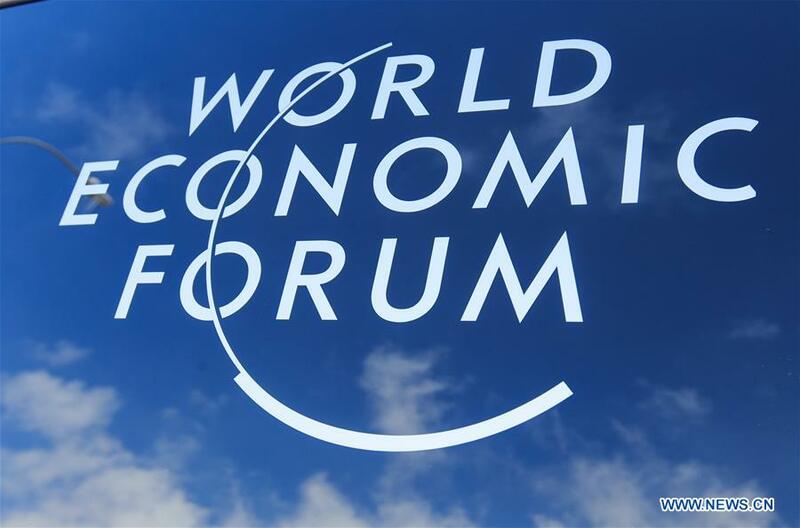 The WEF's 2019 annual meeting will take place Jan. 22-25 in Davos-Klosters, Switzerland, themed Globalization 4.0: Shaping a Global Architecture in the Age of the Fourth Industrial Revolution. ​Global risks are intensifying but the collective will to tackle them appears to be lacking, the World Economic Forum warned in its latest report on Wednesday.